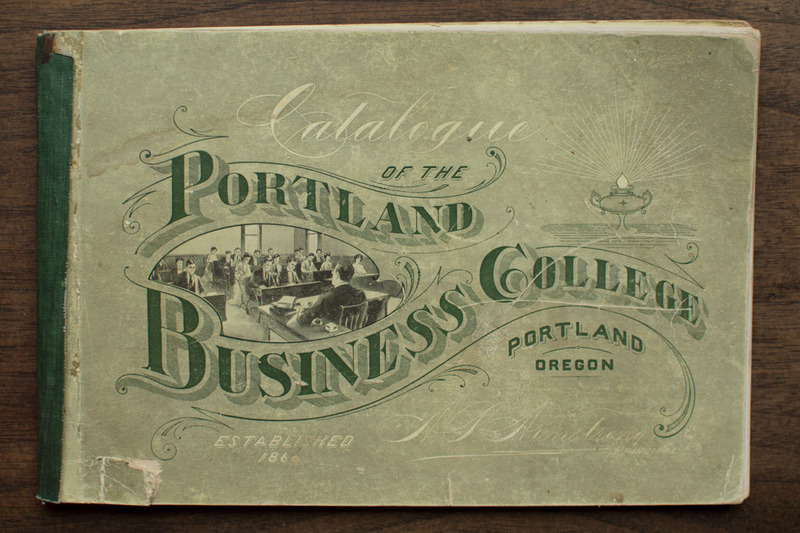 Our interest in the staff and operations of the Portland Business College have led us to acquire this unique booklet highlighting the institution’s offerings. This small document provides some insight into the daily operations of a reputable business school. The penmanship samples presented throughout the book are the work of mister John A. Wesco during the middle of his life and tenure as the lead penmanship instructor at the institution. Take a look and place yourself in the shoes of a prospective student. Can you imagine setting off to study in a program like this in the year 1905? Please remember that while this booklet is within the public domain, it is the product of a lifetime of mastery dedicated to the art of penmanship by the gentlemen involved. It is our privilege to have such samples to study, and the materials within should be used respectfully. View in lower resolution on archive.org while you wait.